In the center of the verdant Monarchy lies Dreadwillow Carse, a desolate bog the people of the land do their best to ignore. Little is known about it except an ominous warning: If any monarch enters Dreadwillow Carse, then the Monarchy will fall. Twelve-year-old Princess Jeniah yearns to know what the marsh could conceal that might topple her family's thousand-year reign. 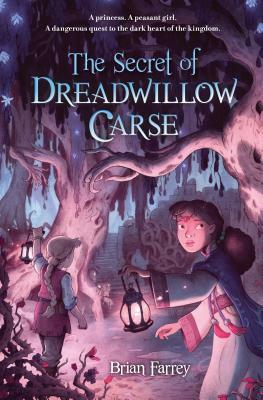 After a chance meeting, Princess Jeniah strikes a secret deal with Aon, a girl from a nearby village: Aon will explore the Carse on the princess's behalf, and Jeniah will locate Aon's missing father. But when Aon doesn't return from the Carse, a guilt-stricken Jeniah must try and rescue her friend -- even if it means risking the entire Monarchy.